A free virtual classroom may be just as conducive to learning as a traditional university setting, according to a study of a massive open online course offered by edX. The report, entitled “Learning in an Introductory Physics MOOC: All Cohorts Learn Equally, Including an On-Campus Class,” found that the “learning gain” of a group of MOOC students was comparable to that achieved by students enrolled in the same course at MIT. The study also discovered that MOOC students with a variety of academic backgrounds demonstrated roughly the same level of relative improvement over the duration of the course. According to the researchers, these findings reflect positively on the potential of MOOCs to distribute knowledge without a teacher being physically present. Pritchard likens MOOCs to particle accelerators, as both allow for large-scale and instantaneous data collection. Of the 17,000 people who signed up for the course, “Mechanics ReView,” through edX, about 1,000 earned certificates of completion. Learning gains were assessed by comparing the results of tests administered to the students before and after the course, a methodology that researchers said had never before been applied to a MOOC. Since the term was coined in 2008, MOOCs have become a formidable force in the education industry. 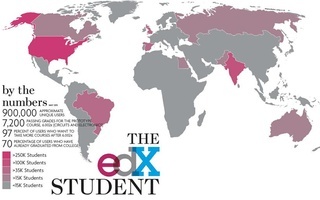 EdX, an open courseware collaboration originally formed by MIT and Harvard, boasts hundreds of thousands of unique users annually. Many other websites offer similar quality content, including Coursera and Udacity, and have collectively enrolled millions of students. “I think we’re just barely learning how to create these tools, and they have a lot of potential even if they’re not for everyone,” said Colin Fredericks, an author of the paper and a course developer for HarvardX. The potential for online education remains relatively unexplored, so platforms like edX require, at minimum, an incubator period in which to expand, change, make progress, and make mistakes that eventually lead to advancement and refinement. The collaboration seeks to broaden the availability of edX’s open source platform and its educational tools by launching the new website MOOC.org. 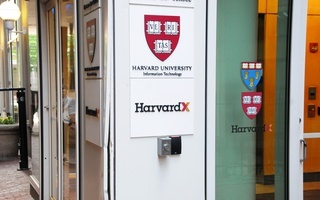 The Bill & Melinda Gates Foundation’s MOOC Research Initiative has granted HarvardX $21,450 to study how massive open online courses might be made more personalized for individuals in online courses everywhere, HarvardX announced Tuesday.